As the new Ontario Social Studies Curriculum unfolds this school year, educators should be asking themselves one critical question : How will I engage my students in learning about Canada’s Aboriginal Peoples? Canada’s Aboriginal Peoples have long been studied as a “unit” in grades 3 and 6. The new curriculum, however, infuses First Nations, Métis, and Inuit (FNMI) perspectives into all grades and all social studies/history/geography strands. As a province, we will no longer study “Aboriginals” as a people of the past, but rather we will embark on a new journey, of embracing First Nations, Métis, and Inuit content as a common thread in our elementary classrooms. Non-Indigenous educators often feel one of three ways. Firstly, some educators think that if they don’t have any Aboriginal students in their classroom, they don’t need to focus on FNMI curricula. Secondly, educators do want to teach FNMI content and perspectives regardless of their student body, but they don’t want to “get it wrong” or offend anyone, so they often shy away from it. Lastly, there are educators, both Indigenous, and non-Indigenous, that seem to have a natural flare for teaching FNMI curricula, yet continue to struggle with access to authentic resources for truly engaging teaching and critical thinking. What are some of the solutions to these dilemmas? Suppose educators made a commitment to becoming an Indigenous education partner. This simply requires an open mind, and a commitment to professional learning. The reality is that all teachers in Ontario need to be armed with a toolkit of knowledge, so that they have the skills and confidence to teach FNMI content in their classrooms. Aboriginal: the political term that encompasses all of Canada’s First Nations, Métis and Inuit people. Indigenous: the term that describes the original people of the land in which they originated. First Nations: the political term used to describe the First Peoples of Canada, Treaty, Status and Non-Status. First Nations people often refer to themselves as the Nation (formerly tribe) they are from – for example, Ojibwe, Mohawk, Cree, etc. There are over 600 Indigenous nations in North America, each with their own language and dialect. Métis: the term used to represent a newer nation of people, who are of First Nations and European descent. They have recently been recognized by the government as having the same rights as First Nations people of Canada. Inuit: (Formerly referred to as Eskimos) the term used to describe people who are originally from and inhabit the Arctic regions of Canada, Greenland and the United States. Inuit often refer to themselves as Inuk, and Canadian Inuit speak Inuktitut. 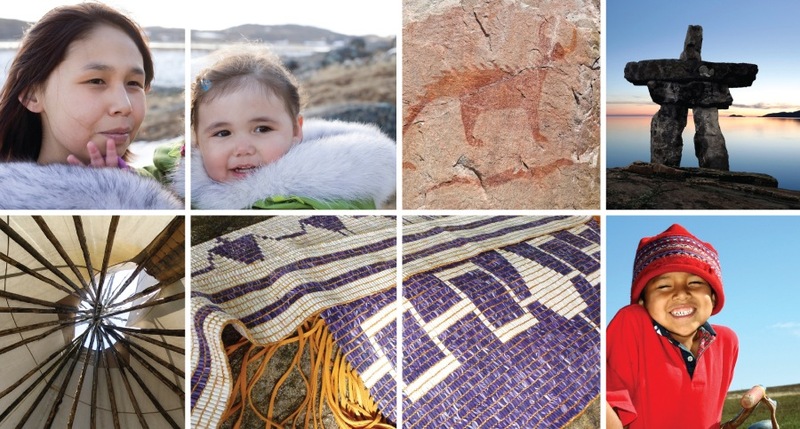 In addition to committing to use the appropriate language, suppose educators made a commitment to finding authentic resources that reflect Canada’s true history. For far too long, the Government of Canada has hidden the truth about residential schools from its citizens. This history is an incredibly sensitive subject, and to teach it to students, educators must have a true understanding themselves of this legacy. One of the best curriculum resources can be found at wherearethechildren.ca. And it’s free. Indigenous and non-Indigenous educators alike may find this content too difficult to navigate, and that’s okay too. There are some amazing literacy and social studies resources published by independent Indigenous publishers and by mainstream publishing companies in Canada, namely Pearson Canada and Nelson Canada. The Circle of Life Series, written by the Indigenous Education Coalition, published by Nelson, provides 33 readers for grades K–3 that beautifully illustrate Indigenous culture. If you are looking to teach about the War of 1812 from an Indigenous perspective, Pearson and TEACH magazine have co-published The Ruptured Sky , a graphic novel and digital resource accompanied by comprehensive curriculum resources for grades 5 through10. Rabbit and Bear Paws , a graphic novel series for the young and young and heart, also offers curriculum resources, and was the winner of this year’s ETFO Children’s Literature Award. For a wealth of Indigenous content visit goodminds.com, home of Canada’s leading Indigenous publications. Additionally, ETFO has FNMI resources available on its website. Not only did ETFO make a commitment to Indigenous education at its annual meeting this year, ETFO is also pleased to announce that a brand-new, engaging Indigenous curriculum resource will be available to all teachers in Ontario by Fall 2014, the mandatory deadline for implementation of the new social studies curriculum. The Ministry of Education also attempts to provide Ontarians with a foundation for Indigenous learning. The Ontario First Nation, Métis, Inuit Education Policy Framework is a great place to start for a global understanding of how educators can integrate Indigenous pedagogy into their planning. Not only has the new social studies curriculum changed to reflect the identity of First Nations, Métis, and Inuit children and culture, it also provides all students with a basis for future involvement in Indigenous Studies in secondary and post-secondary education. Willett also notes that it is essential for educators to acknowledge the diversity of students, and that Indigenous students especially, need to see themselves reflected in the curriculum. Identity plays an important role in the success of our students, Indigenous or otherwise. Finally, as the a new generation of young minds evolves, it is up to all educators in Ontario to take action, and become not only partners, but leaders in Indigenous education. Children need to have a solid and authentic understanding of the relationship between Canada and the First Peoples, of the treaties, the culture, and the true history of our home and native land. Tanya Leary is a member of the Hamilton-Wentworth Teacher Local. Rabbit and Bear Paws: rabbitandbearpaws.com. Graphic novels, picture books, and teacher guides that depict precolonial adventure stories through comics. The Ruptured Sky: therupturedsky.com/ – a graphic novel about the War of 1812 from an Indigenous perspective, plus online resources and teacher guides (TEACH Magazine/Pearson). Circle of Life Series: – 33 levelled readers K–3, highlighting First Nations stories. (Nelson Canada/Indigenous Education Council). See website below. goodminds.com – An Aboriginal-owned business that is the “amazon.com” of Indigenous books and resources. Ontario Ministry of Education, or your local school board. “Integrating First Nation Teachings” – a 14-minute video showing grade 6 creating a piece of art using First Nation teaching as inspiration. resources.curriculum.org/arts/firstnations.shtml. Where are the Children? wherearethechildren.ca – Student and teacher resources on the residential school system in Canada. Indspire Institute indspire.ca – hundreds of free resources in First Nations, Métis, and Inuit education: Create a free account and join the mailing list. During the presentation, I talked about sharing knowledge about First Contact between European and First Nations people from an Indigenous perspective with students. My intention was to encourage teachers to engage with knowledge from our people instead of just about them.